Argonne designed, built, and operated reactors using a wide variety of types of fuel, neutron moderator, and coolant materials to explore the technological possibilities of nuclear energy. 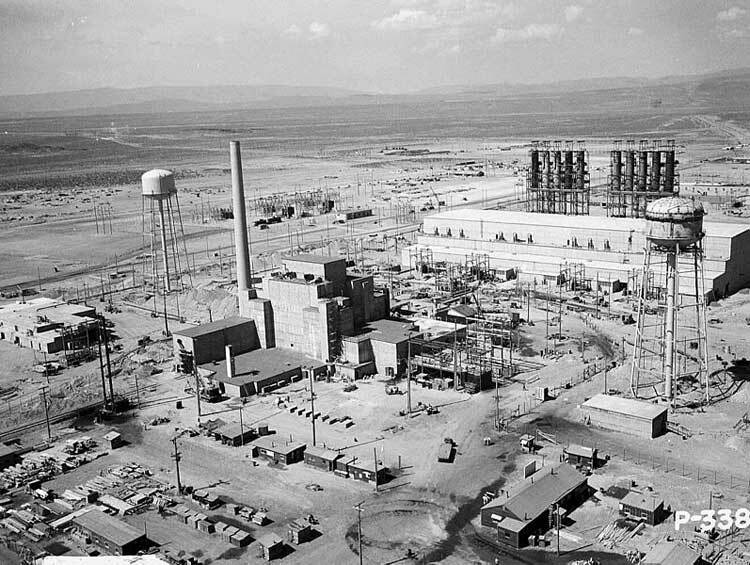 The resulting experimental data and analyses formed a large portion of the design basis for many reactors that were built to produce plutonium, tritium, and medical isotopes, as well as for the 25% of commercial reactors in the world that are not light water reactors. 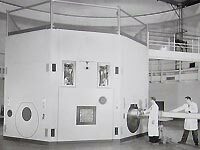 The CP-5 Research Reactor Facility was used to perform a variety of Laboratory research experiments, using the reactor as a neutron source. Click on photo to view a larger image. The Argonne's Chicago Pile 5 (CP-5) reactor was a research workhorse, providing neutrons for experiments on the structure and behavior of materials. It started operation in 1954 and was used until 1979. Technicians for Illinois’ first commercial power plants were trained at CP-5. CP-5 was used for a good deal of materials research starting in the 1970s, its major mission was to study the physics of atomic nuclei. During its 25-year career, CP-5 attracted hundreds of scientists from industry, universities and government laboratories all over the world. It opened new horizons in nuclear physics and materials research. It taught future scientists, trained reactor operators, and served as a model for many other research reactors in the United States and abroad. CP-5 was the fifth and last member of the distinguished family of "Chicago Pile" reactors, whose legacy ranges from the earliest efforts to develop nuclear reactors to current environmental research aimed at learning how to retire them safely. 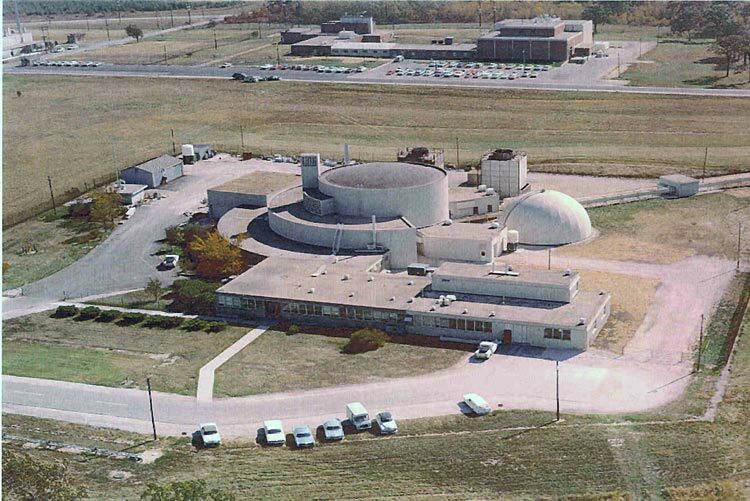 When Chicago Pile 5 retired from active service as a materials research reactor in 1979, it marked the end of operations for the Chicago Pile reactors. 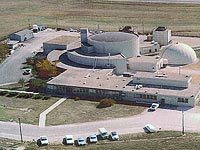 The decontamination and decommissioning (D&D) of the CP-5 Research Reactor Facility was initiated in 1991 and completed in 2000. The ZPR-2 Savannah River Reactor (1952). Click on photo to view a larger image. 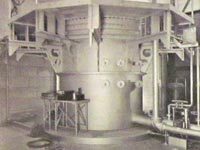 In 1953, ZPR-2 experiments at Argonne demonstrated the design feasibility of the Savannah River Production reactor in South Carolina, constructed in 1954. 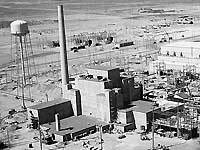 Aerial view of Hanford B-Reactor site, June 1944. Courtesy of Wikimedia Commons. Click on photo to view a larger image. Fuel-processing studies for the production reactors at Hanford were carried out in Argonne Buildings 205 and 310 in the early 1950s. 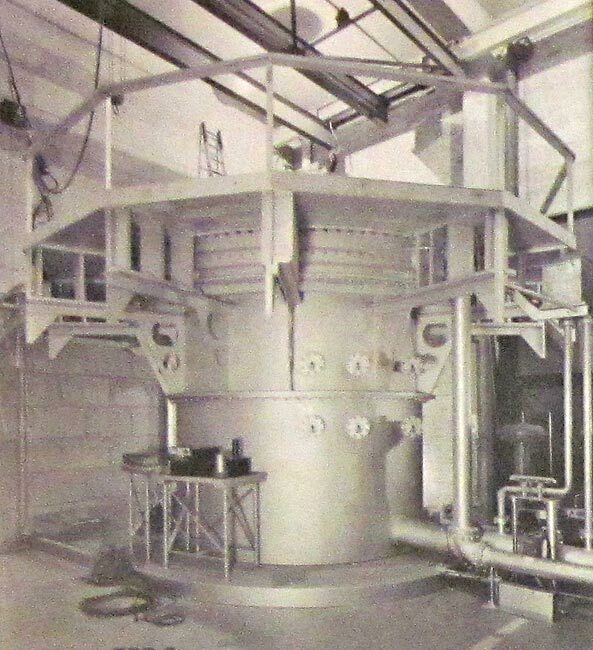 The ZPR-7 research reactor. Click on photo to view a larger image. The ZPR-7 reactor was used to supply physics design information required in connection with several phases of Argonne's boiling water reactor program, including exploring the physics of uranium-thorium fuels. At the time (around 1960), the greater abundance of thorium in nature (compared to uranium) made it an interesting reactor fuel feed material for breeding U-233 and for increasing achievable burnups. To this end, thorium was to be tested in Argonne’s Experimental Boiling Water Reactor, but not enough was known about the neutron physics of thorium, especially its resonance absorption. The ZPR-7 experiments produced the data needed for the subsequent testing of thoria in EBWR. 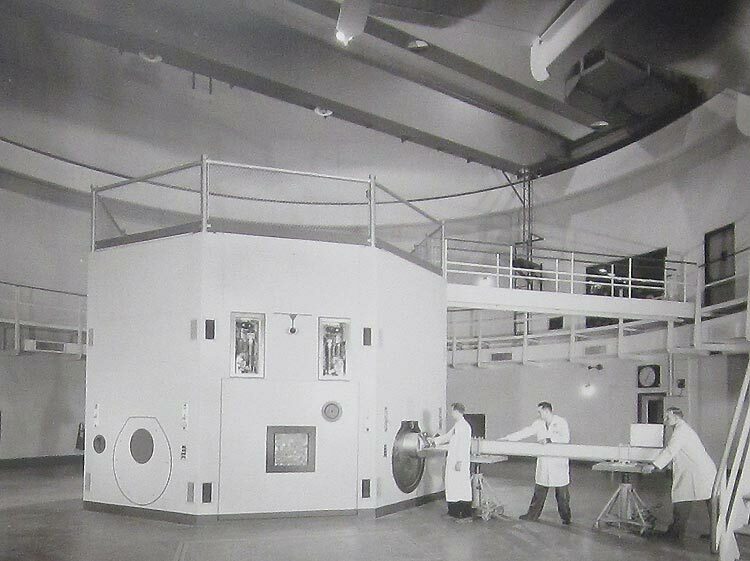 In the ZPR-7 facility, Argonne performed critical and mockup experiments necessary to achieve higher precision for the determination of reactor power distribution patterns, effect of non-uniform void distributions, kinetic behavior, control rod effectiveness, importance of streaming, and localized substitution effects. The initial loadings in ZPR-7 were used to study EBWR core mockups; later loadings were aimed at understanding basic physics effects. CP-6 was designed at Argonne, and was an enlarged, improved version of Chicago Pile 3 (CP-3). Five of the reactors based on the CP-6 design were built at the Savannah River Plant for production of materials for military use. Intended as a backup design for the Hanford Production Reactors, these operated for decades.